Two twisted loops, Bronze and sterling silver. 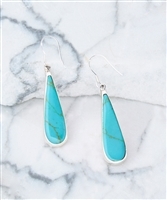 Enliven your look with these charming teardrop earrings adorned with a burst of color in a sterling silver setting. Enliven your look with these charming teardrop earrings adorned with a burst of contrasting color in a sterling silver setting. 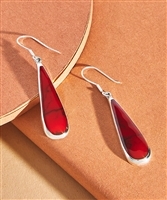 Sterling silver drop earring with red resin inlay. Oval drop C.Z. 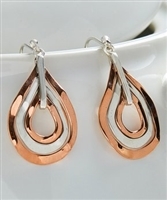 sterling silver earring. 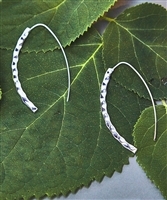 Oval loop drop sterling silver earring. Square drop C.Z. 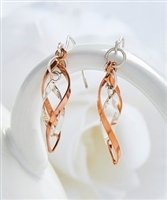 sterling silver earring. 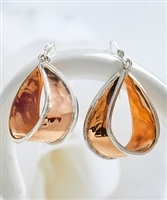 Complete your ensemble with feminine shine by slipping on these charming sterling silver burst drop earrings. Accessorize your look with a modern feel by slipping on these ultra-trendy drop earrings boasting high shine thanks to a sterling silver design. An open teardrop profile lends subtle shine to your look, and a hammered sterling silver finish adds of-the-moment allure. Frame your face with chic shine by slipping on these contemporary teardrop earrings crafted from glistening sterling silver. 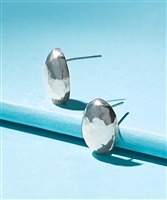 Complete your ensemble with feminine shine by slipping on these chic hammered oval sterling silver stud earrings. 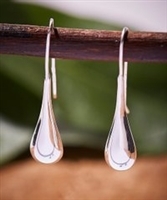 Modernize your look with these trendy teardrop threader earrings crafted from glistening sterling silver. Complete your ensemble with feminine shine by slipping on these charming sterling silver cross hoop earrings. 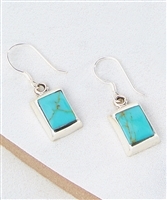 Feel encouraged all day long in these uplifting cross drop earrings crafted from timeless sterling silver. Overlap sterling silver with bronze edge. Two circles in sterling silver and bronze. 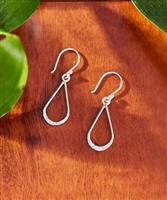 Modernize your look with these trendy hammered threader earrings crafted from glistening sterling silver. 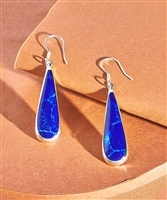 Add vibrant elegance to your look with these gleaming sterling silver drop earrings inlaid with a bold blue for added allure. Add vibrant elegance to your look with these gleaming sterling silver teardrop earrings inlaid with a bold green for added allure. 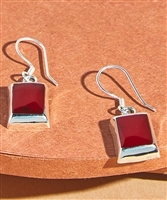 Hammered earrings with contrast texture and gleaming sterling silver construction. Free-spirited vibes with lyrical lines and lively gleam of these drop earrings crafted from alluring sterling silver.